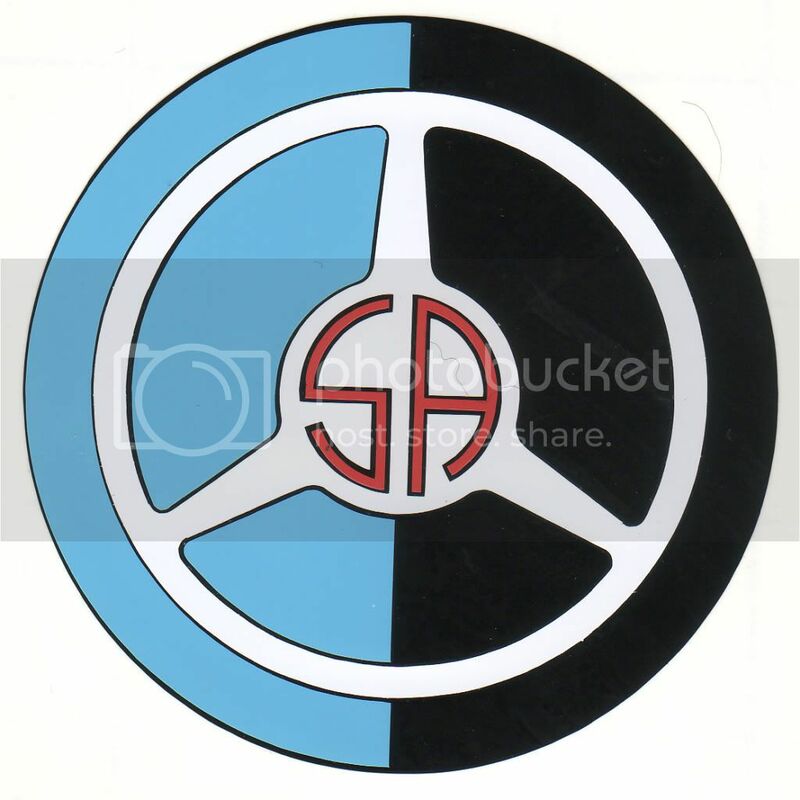 Does someone have a good color copy of the Scuderia Ambrosiana logo they can scan and send to me? Nothing on this one yet ? Please ! In Tabucchis Maserati book and Pritchards Maserati , A racing history book, appears the same picture showing an 6CM in 1936 outside the Bologna factory and the "works" transporter. Later in his book Pritchard says Ambrosiana came with their OM Transporters!(38). Knowing that Subalpina in 36 operated the works Maseratis and Torino and Ambrosiana had close connections, as well that the logo on the the door of the transporter does NOT look like a Maserati logo , could it be a Subalpina ? And then later passed on to one of the other teams , as Maserati got a knew one themselves for 38/69 ! I have it somewhere and will try to find it. I attended a small party at Monza about fifteen years ago with Franco Lini for the re-launch of Scuderia Ambrosiana under the guidance of Massimo Leto di Priolo. I obtained it because John Coombs was refurbishing his ex-Franco Cortese 6C Alfa Romeo. Hi all , I am still looking for the Ambrosiana logo , have I ignored something , any news ? Thanks Adler , very good . I have to put up a question though , form pictures of race cars it does not quite look the same ? I'll try to upload one for you but am not entirely sure that this will work. I cannot guarantee 100% accuracy but it is pretty close. If anyone has a better one can they let me know as well! Edited by Maser333, 08 December 2009 - 23:42. I read your mail , thanks.